Abstract Machine demonstrates the importance of analyzing data in digital formats to study the humanities. Redlands, California—Maps created using geographic information system (GIS) technology can be used to explore and interpret events in literature, history, and culture. 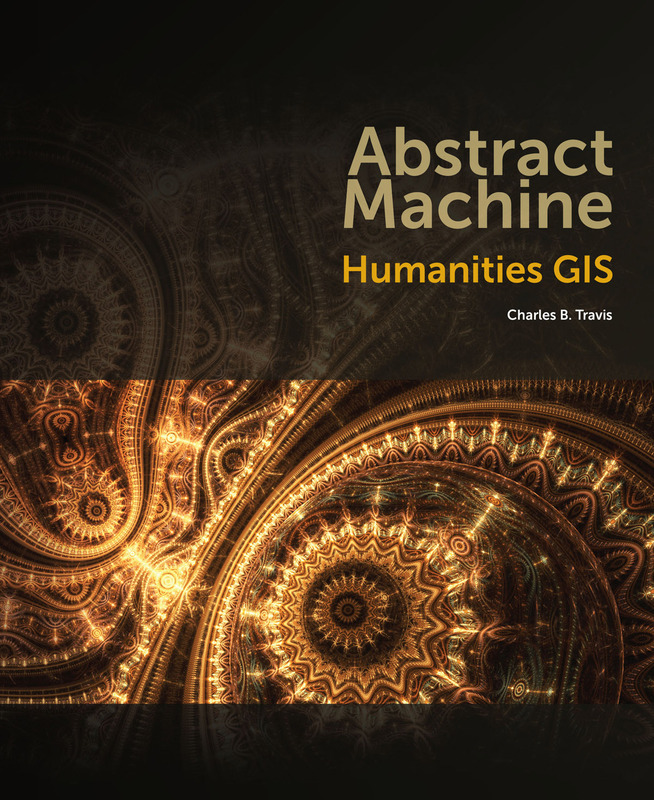 That’s the premise of Abstract Machine: Humanities GIS, a new Esri press book by Charles B. Travis, who used real examples plucked from history, poetry, and books to show how geospatial visualization and analyses opens up a new world of discoveries in the humanities. "This book illustrates how [to] model and apply GIS techniques typically employed in the natural and social sciences to literary, cultural, and historical studies," Travis, a senior research fellow at Trinity College Dublin, says in the book's introduction. Abstract Machine demonstrates the importance of analyzing data in digital formats to study the humanities. The book would be extremely useful to university professors and others in academia who teach courses in literature, history, the arts, film, and culture. Travis illustrates how GIS opens up new insights into history. For example, he uses Esri ArcGIS technology to show in 3D how Ireland's topology could have both hindered or helped the movement of both the English and opposing Irish forces during the Irish Rebellion of 1641 and the subsequent conquest of Ireland by Oliver Cromwell's army. Travis uses GIS to model and visualize the topological influences that Homer's Odyssey and Dante's Inferno, both epic poems, had on James Joyce's novel Ulysses. He also uses GIS to map how Irish poet Patrick Kavanagh's work was influenced by whether he was living in or visiting a rural or urban area. Travis holds a PhD in geography and works at Trinity College's Trinity Long Room Hub, where he develops methodologies and applications for humanities GIS. He says that professionals in the arts and humanities are starting to embrace GIS in their research but cautions that there should be a delicate balance between science and art. "I believe that GIS scholarship in the arts and humanities is spawning its own unique language, tools, perspectives, methodologies, and storytelling techniques as it adheres to the dictates and tropes of its cognate disciplines," he says. 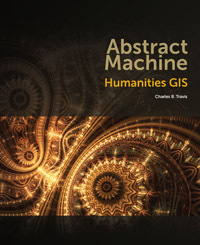 Abstract Machine: Humanities GIS is available in print (ISBN: 9781589483682, 154 pages, US$59.99) or as an e-book (ISBN: 9781589483699, US$39.99). The book is available at online retailers worldwide, at esri.com/esripress, or by calling 1-800-447-9778. Outside the United States, visit esri.com/esripressorders for complete ordering options, or visit esri.com/distributors to contact your local Esri distributor. Interested retailers can contact Esri Press book distributor Ingram Publisher Services.